Kanthaloor (also Kanthalloor) is a not so well known village in Northern Idukki. Cool weather, lush orchards, great panoramic views......there is enough reason to stop by for a day or two. Kanthalloor lies adjacent to famed eco tourism destinations such as Chinnar Wildlife Sanctuary and Marayoor. People visit Kanthalloor as a part of their Munnar holidays. Of course, you will have to devote a day or two for the best outcome. Travel from Munnar to visit Chinnar, Marayoor and Kanthalloor in one go makes good sense. Kanthaloor is a great place to stay and explore Chinnar Wildlife Sanctuary, Thoovanam waterfall, regional sandalwood forest, Dolmens, Anaimudi Shola National Park and Mannavan Shola forest. There are so many villages, why Kanthalloor? You may ask. Well, Kanthalloor is in a league of its own. 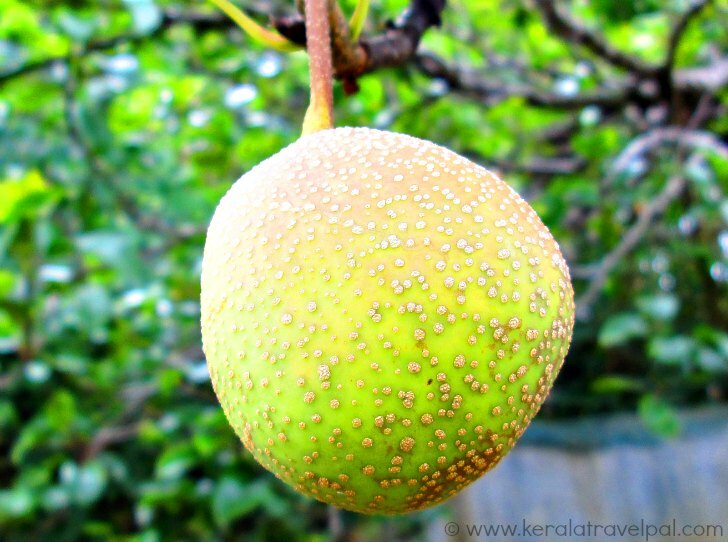 It is the only place in Kerala where apple grows. No just apple, there is a long list of fruit and veg that grows here. The orchards are filled with everything from Plum to Passion fruit and Cabbage to Cauliflower. Tourism offered possibilities and many farms opened up to it. As a result, Kanthalloor became one of the pioneering places in Kerala for farm tourism. Nowadays you could stay in one of the orchards, enjoy the nice weather at 5500 ft altitude, have some fresh air and get some great views. And the rates are reasonable generally. Have to add that the weather patterns have changed markedly in the last few years. So do not expect cool weather in peak summer any more in the way it used to be. The region is known for terrace farming. Hill sides are carved out into a series of wide steps, where crops are grown. They are a pretty sight, when filled with all sorts of greens. Vattavada and koviloor have terraced hill farms. Not keen to stay at Kanthaloor? You could stay at Marayoor and limit Kanthaloor to a day trip. If you are interested in Wildlife, could even stay within Chinnar Sanctuary. Needs to book in advance but before booking make sure what is on offer. Chinnar Sanctuary shelters a large variety of animals. Endangered species such as Giant Grizzled Squirrel and Star Tortoise are prime attractions. Not easy to find them though. Elephants, different kinds of monkeys and bison varieties are usually seen. Marayoor has a natural sandal wood forest, a rare find. Another rarity that happened to be at Marayoor is the ancient burial chambers, the Dolemens. They are scattered here and there and are thousands of years old. Another archaeologically significant find at Marayoor is a cave called Ezhuthu Guha with ancient pictures on walls. Manavan Shola is a forest with huge ferns, a place that could well be the setting for a Dinosaur movie. 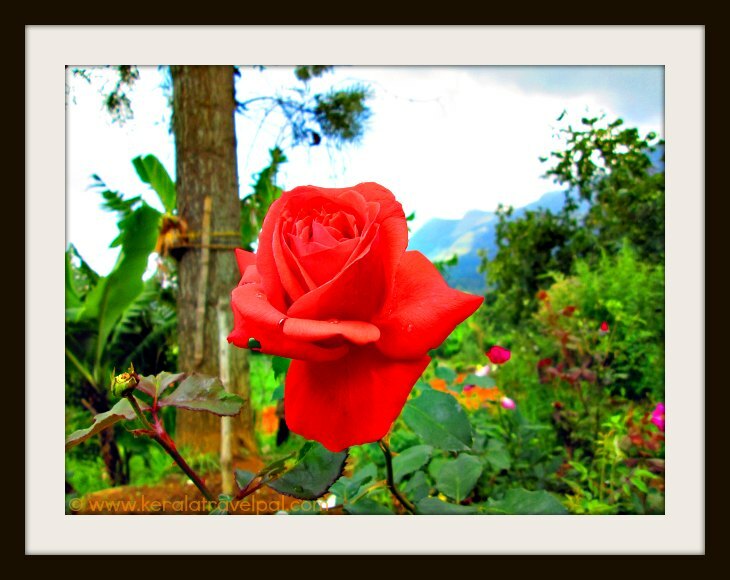 If you are visiting Munnar, it is better to travel to Kanthallor from there. The drive from Munnar takes just about an hour or a bit more. Travel may take more time as scenic spots are all along the route, Mattuppetty and Kundala dams and so on. The distance is about 40 kms. The nearest Airport is Nedumbasseri International at Cochin (about 145 kms). Nearest towns: Munnar at 40 kms and Maryoor at 14 kms. Bus Station: Munnar at 40 Kms. Taxi Hire: Munnar Town at 40 Kms. Railway Station: Eranakulam Railway Station at 155 kms. Air port: Cochin Int’l Airport (COK) at 145 Kms. Food Options: Restaurants at Marayoor town. More choice at Munnar. Accommodation Options: Farm stays and resorts at Kanthaloor. Resorts, hotels and home stays in Marayoor. There are resorts and home stays in Kanthalloor or else you could stay at Munnar. Best time to visit: Throughout the year. March, April and May are hot nowadays though. Nearby Attractions: Chinnar Wildlide Sanctuary, Marayoor, Manavan Shola, Periyar Tiger Reserve, Kumali, Munnar, Devikulam, Peerumedu, Eravikulam National Park, Mattuppetty, the Arch dam, Idukki wildlife sanctuary, Anamudi, Eco Point, Top Station, Waterfalls of Cheeyappara, Valara, Thommankuthu, Keezharkuthu, Attukal and Chellarkovil, Carmalagiri elephant walk, Anachal, Malankara reservoir, Mangala Devi Temple, Meenuli, Kundala dam and Kalvari Mount.